1As defined by the Act Regulating the Coat-of-Arms, Flag and Anthem of the Republic of Slovenia and the Flag of the Slovene Nation ("Zakon o grbu, zastavi in himni Republike Slovenije ter o slovenski narodni zastavi") from 1994 and published on the web page of the National Assembly of Slovenia. 2 Italian and Hungarian are recognized as official languages in the residential areas of the Italian or Hungarian national community. 3 Prior to 2007: Slovenian tolar. Slovenia has been part of the Roman Empire, the Duchy of Karantania, the Holy Roman Empire, Austria-Hungary, the Kingdom of Serbs, Croats and Slovenes, and the Socialist Federal Republic of Yugoslavia from 1945 until gaining independence in 1991. Although Slovenia comprised only about one-thirteenth of Yugoslavia's total population, it was the most productive of the Yugoslav republics, accounting for one-fifth of its GDP and one-third of its exports. It thus gained independence in 1991 with an already relatively prosperous economy and strong market ties to the West. In addition, with a high degree of religious and ethnic homogeneity, Slovenia avoided the widespread ethnic fighting that afflicted Croatia, Bosnia, and Serbia. Slovenia borders Italy on the west, the Adriatic Sea on the southwest, Croatia on the south and east, Hungary on the northeast, and Austria on the north. Although located on the shore of the Mediterranean Sea, most of Slovenia is in the Black Sea drainage basin. Slovenia is 7827 square miles (20,273 square kilometers), or slightly smaller than New Jersey in the United States. Four European geographic and landscape regions meet in Slovenia: the Alps, the Dinaric Alps, the Pannonian plain, and the Mediterranean. Around one half of the country is covered by forest, making Slovenia the third most-forested country in Europe. 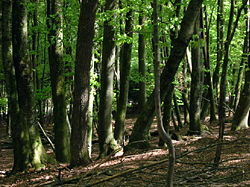 Remnants of primeval forests are still to be found, the largest in the Kočevje area. Grassland covers about 25 percent of the country. Slovenia's highest peak is Triglav at 9396 feet (2864 meters), and the country's average height above the sea level is 1827 feet (557 meters). Its climate is sub-mediterranean on the coast, alpine in the mountains, and continental with mild to hot summers and cold winters in the plateaus and valleys to the east. The average temperatures are 28°F (-2°C) in January, and 70°F (21°C) in July. The average rainfall is 39.4 inches (1000 millimeters) for the coast, up to 137.8 inches (3500mm) for the Alps. The main river, the Sava, flows from the Julian Alps, past Ljubljana, toward Croatia, eventually reaching the Danube. The Sava’s narrow valley is a road and rail conduit to Zagreb and Belgrade. The Drava River from Austria, and the Mura from Styria, meet in Croatia and ultimately reach the Danube. In the west, the Soca flows from beneath Mount Triglav and reaches the Gulf of Venice on Italian territory, where it is known as the Isonzo. The steep Slovenian topography creates fast run-off, producing abundant water and hydroelectric resources. Although Slovenia is a small country, there is an exceptionally wide variety of habitats. 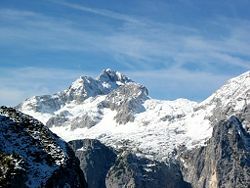 In the north are the Alps (Julian Alps, Karavanke, Kamnik Alps), and in the south stand the Dinaric Alps. There is also a small area of the Pannonian plain and a Littoral Region. Much of southwestern Slovenia is characterized by Kras, often unexplored, underground habitat containing diverse flora and fauna. The English word karst, used for this type of topography, derives from this region. A deciduous forest in Slovenia. Oaks and beeches predominate, while in the mountains, spruce, fir, and pine are more common. The tree line is at or 5575 to 5900 feet (1700 to 1800 metres). Pine trees also grow on the karst plateau. Only one third of the plateau is now covered by pine forest—most of the forest was chopped down to provide the wooden piles upon which the city of Venice stands. The lime/linden tree, also common in Slovenian forests, is a national symbol. In the Alps, flowers such as Daphne blagayana, various gentians (Gentiana clusii, Gentiana froelichi), Primula auricula, Leontopodium alpinum|Edelweiss (the symbol of Slovenian mountaineering), [Cypripedium calceolus, Fritillaria meleagri] (Snakes's head), and Pulsatilla grandis are found. The country's fauna includes marmots (introduced), Alpine Ibex, and chamois. There are numerous deer, roe deer, boars, and hares. The edible dormouse is often found in the Slovenian beech forests. Hunting these animals is a long tradition. Some important carnivores include the Eurasian lynx, European wild cats, foxes (especially the red fox), and the rare jackal. There are also hedgehogs, martens, and snakes such as vipers and grass snakes. As of March 2005, Slovenia also has a limited population of wolves and around 400 brown bears. There is a wide variety of birds, such as the tawny owl, the long-eared owl, the Eagle Owl, hawks, and short-toed eagles. A growing number of ravens, crows, and magpies have migrated into Ljubljana and Maribor where they thrive. Other birds include (both black and green) woodpeckers, and the white stork which nests in Prekmurje. 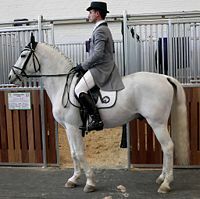 Domestic animals originating in Slovenia include the Carniolan honeybee, the indigenous Karst Sheepdog, and the Lipizzan horse, a breed closely associated with the Spanish Riding School of Vienna, Austria where the finest representatives demonstrate the "high school" movements of classical dressage. The exploration of various cave systems has yielded discoveries of many cave-dwelling insects and other organisms. Natural resources include lignite coal, lead, zinc, mercury, uranium, silver, and hydropower. Natural hazards include flooding and earthquakes. Environmental issues include pollution of the Sava River with domestic and industrial waste, pollution of coastal waters with heavy metals and toxic chemicals, forest damage near Koper from air pollution from metallurgical and chemical plants, and resulting acid rain. The capital and largest city of Slovenia is Ljubljana, the cultural, scientific, economic, political and administrative center of Slovenia. It is situated between the Alps and the Mediterranean, and had a population of 265,881 in 2002. Around 1200 B.C.E., the Danubian culture (inland), and the Terramare culture (along the coast) occupied lands that are now part of Slovenia. 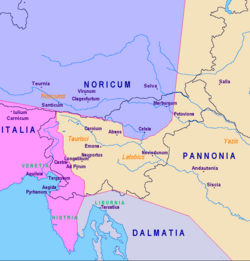 In the sixth century B.C.E., the Adriatic Veneti, a people who spoke a language close to the Italic languages, lived in north-eastern Italy and parts of Slovenia. A well-developed Illyrian population exists as far north as the upper Sava valley, as did Celts. Illyrian friezes discovered near the city of Ljubljana depict ritual sacrifices, feasts, battles, sporting events, and other activities. The Roman Empire established its rule in the region in the first century, after 200 years of fighting with the local tribes. The most important ancient Roman cities in this area included: Celeia (now Celje), Emona (Ljubljana), Nauportus (Vrhnika), Poetovio (Ptuj). Modern Slovenia's territory was split among the Roman provinces of Dalmatia, Italia, Noricum, and Pannonia. The Slavic Duchy of Karantania mainly occupied the territory of today's Austrian Carinthia and Slovenian Carinthia. It emerged from the ashes of the first Slavic union: Samo's Tribal Union, which connected the western and the southern Slavic tribes. The union spanned from the Baltic Sea to the Adriatic Sea. Its purpose was to defend the Slavs from the Bavarians, the Langobards and the Avars. It collapsed due to the death of Samo in 658. 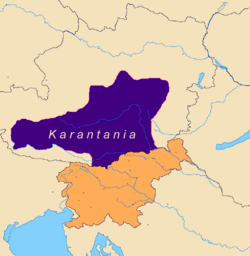 Karantanians established their duchy under the guidance of knez (lord) Valuk. In 745 Karantania joined the Frankish kingdom as an independent country with its own law (consuetudo Sclavorum) and preserved the inauguration of its knez until the year 1414 on the Prince's Stone (knežji kamen). To the year 1651 the oath ceremony of the lord took place at the Duke's Chair (vojvodski stol) and then until the year 1728 in the county house in Klagenfurt (Celovec). 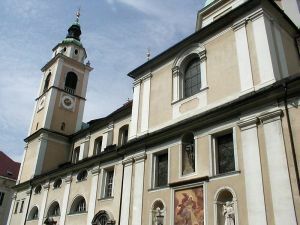 The Freising manuscripts, the earliest surviving documents in a Slovenian dialect and the first-ever Slavic document in Latin script, were written around 1000. While the elites became Germanized, the peasants resisted Germanization and retained their unique Slavic language and culture. Primož Trubar published the first printed books in the Slovenian language (Katekizem and Abecedarium, 1550, in Tübingen, Germany). Protestant publishing in Slovene culminated in a full translation of the Bible (Jurij Dalmatin, in Wittenberg in 1584). Even though most people became Protestant, the region became re-Catholicized under the rule of Archduke Ferdinand II of Inner Austria (who ruled 1590-1637). Nineteenth century intellectuals codified Slovene into a literary language. In 1848, a massive political and popular movement for a United Slovenia (Zedinjena Slovenija) emerged as part of the Spring of Nations movement within Austria. Initially demanding Slovene autonomy within the Austria-Hungary Monarchy, Slovenia gained an administrative autonomy in the province of Carinthia, and other provinces settled with Slovenians had some cultural and educational concessions. But the program failed to meet its main objectives, and remained the common political program of all Slovenes until World War I and beyond. After the Italian attack on Austro-Hungary during World War I, a south-west front was opened, part of which was The Isonzo Front, which ran along the Isonzo river, with the greatest part on the present territory of Slovenia. The Slovenes joined with other southern Slav peoples in the State of Slovenes, Croats and Serbs on October 29, 1918, and then the Kingdom of Serbs, Croats and Slovenes on December 1, 1918, under King Peter I of Serbia. In 1929, the Kingdom of Serbs, Croats, and Slovenes was renamed as the Kingdom of Yugoslavia. In 1941, Yugoslavia fell to the Axis powers. After Yugoslavia fell, Germany, Italy, and Hungary each annexed parts of Slovenia, the largest part being Lower Styria which was annexed to the "Ostmark" (Nazi German Austria). Yugoslav partisan groups fought against German, Hungarian, and Italian occupation forces. Partisan leaderJosip Broz Tito established the Socialist Federal Republic of Yugoslavia in 1945. 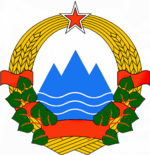 Slovenia formed a constituent republic of the Socialist Federal Republic of Yugoslavia. Slovenia continued to form Yugoslavia's most prosperous and advanced republic throughout the communist era. Slovenia was at the forefront of Yugoslavia's unique version of communism. Crisis emerged in Yugoslavia with the weakening of the communism in Eastern Europe after the fall of the Berlin Wall in 1989. In Yugoslavia, the League of Communists of Yugoslavia was losing control while nationalist and separatist ideologies were on the rise. Slobodan Milošević's rise to power in Serbia, and his drive to unite all Serbs, clashed with nationalist movements, at first in Croatia and Slovenia. In March 1989, the crisis deepened after the Serbian constitution was amended to allow the Serbian government to re-assert control over the autonomous provinces of Kosovo and Vojvodina. Changes in the balance of power within the Socialist Federal Republic of Yugoslavia led to calls for reform of the Yugoslav Federation. At the 14th Extraordinary Congress of the League of Communists of Yugoslavia, on January 20, 1990, delegates could not agree. The Slovenian delegation demanded democratic changes and a looser federation, while the Serbian delegation opposed this. This is considered the beginning of the end of Yugoslavia. Slovenian and Croatian delegates left the Congress. 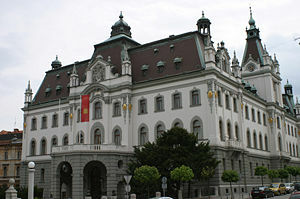 The first free elections were scheduled in Croatia and Slovenia. On December 23, 1990, 88 percent of Slovenia's population voted for independence, and on June 25, 1991, the Republic of Slovenia declared its independence. A 10-day war with Yugoslavia followed (June 27, 1991, to July 6, 1991). The Yugoslav People's Army (JNA) forces withdrew. Sixty seven people were killed, according to the International Red Cross, of which 39 were JNA soldiers. The boundaries of Slovenia today are as they were as a Socialist Republic prior to independence, but a series of border disputes arose between Slovenia and its neighbor Croatia. Slovenia joined the United Nations on May 22, 1992. Historical ties to Western Europe made Slovenia a strong candidate for accession to the European Union, which occurred on May 1, 2004, while the other Yugoslav Republics had to remain outside the union. Just a few weeks earlier - in March 2004 - Slovenia became a member of NATO. The Slovenian tolar became part of the European Exchange Rate Mechanism in 2004. 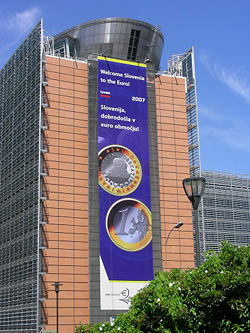 Slovenia joined the European Monetary Union and adopted the Euro as its currency on the January 1, 2007, as the first of the new member countries. The politics of Slovenia take place in a framework of a parliamentary representative democratic republic, whereby the prime minister is the head of government. Slovenia has a multi-party system, with numerous political parties, none of which has a chance of gaining power alone, requiring coalition governments. Executive power is exercised by the government. Legislative power is vested in the parliament. The judiciary is independent of the executive and the legislature. The Slovenian head of state is the president, who is elected by popular vote every five years, and is eligible for a second term. Janez Drnovsek has been president since December 2002. The executive branch is headed by the prime minister and the council of ministers or cabinet, which are elected by the parliament. The leader of the majority party or the leader of a majority coalition is usually nominated to become prime minister by the president and elected by the National Assembly. Janez Jansa has been prime minister since November 2004. The council of ministers is nominated by the prime minister and elected by the National Assembly. 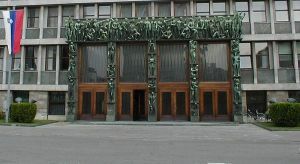 The bicameral parliament of Slovenia consists of the National Assembly (Državni zbor), and the National Council (Državni svet). The National Assembly has 90 seats, of which 40 members are directly elected and 50 are elected on a proportional basis (two seats reserved for autochthonous Hungarian and Italian minorities). The National Council has 40 seats, and is made up of representatives of social, economic, professional and local interest groups indirectly elected by an electoral college to serve five-year terms. Parliamentary elections are held every four years. Suffrage is universal to those aged 18 years and over (16 years of age, if employed). The judiciary comprises a supreme court (judges are elected by the National Assembly on the recommendation of the Judicial Council), a constitutional court (judges elected for nine-year terms by the National Assembly and nominated by the president), a court of audit, which supervises state accounts and spending, high courts, and courts of first instance. The legal system is based on a civil law system. The crime rate is low but organized and economic crime has increased since Slovenia's independence and change to privatization. 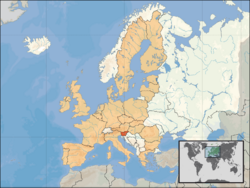 Slovenia's location between Italy, Austria, and Hungary makes it an ideal location for international money-laundering schemes. Since the break-up of the former Yugoslavia, Slovenia has instituted a stable, multi-party, democratic political system, characterized by regular elections, a free press, and an excellent human rights record. As a young independent republic, Slovenia pursued economic stabilization and further political openness, while emphasizing its Western outlook and central European heritage. Slovenia is a member of the European Union, the Council of Europe, NATO, and has observer status in La Francophonie. Today, with a growing regional profile, a participant in the SFOR peacekeeping deployment in Bosnia and Herzegovina and the Kosovo Force deployment in Kosovo, and a charter World Trade Organization member, Slovenia plays a role on the world stage quite out of proportion to its small size. Traditional Slovenian regions, based on the former division of Slovenia into four Habsburg crown lands (Carniola, Duchy of Carinthia, Styria, and the Slovenian Littoral) and their parts, are: Upper Carniola, Lower Styria, Prekmurje, Carinthia, Inner Carniola, Lower Carniola, Goriška, and Slovenian Istria. Goriška and Slovenian Istria together are known as the Slovenian Littoral region (|Primorska). White Carniola (Bela krajina), otherwise part of Lower Carniola, is considered a separate region of Slovenia, as are Zasavje and Posavje, the former being a part of Upper and Lower Carniola and Styria; and the latter part of Lower Carniola and Styria. 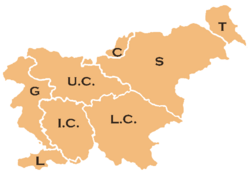 Slovenia's 12 statistical regions exist solely for legal and statistical purposes. 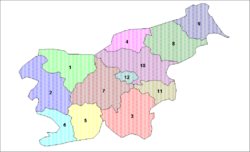 Slovenia is divided into 210 municipalities, of which 11 have urban status. The government, however, is preparing a plan for new administrative regions. The number of these regions is not yet defined, but is said to be between 12 and 14. 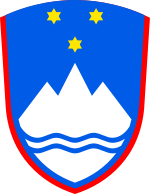 The military of Slovenia consists of the Slovenian Armed Forces. As of 2003 it is organized as a fully professional standing army. The commander-in-chief is the president, while operational command is in the domain of the Chief of the General Staff of the Slovenian Armed Forces (Albin Gutman). The armed forces are being reorganized from a territorial defense force into a deployable force primarily aimed at peacekeeping. After 1993, the Slovenian Armed Forces had relied on mandatory military service, with conscripts receiving six to seven months of training. In 2003, the government abolished conscription and as of July 2004, the force has been reorganized into a professional army based on volunteers. There are approximately 7500 officers and approximately 33,000 enlisted personnel, reduced from 55,000 personnel during conscription. Slovenian Army consists of two brigades composed primarily of infantry, but it also contains a small air force and navy unit which are subordinate to it. Slovenia is a developed country that enjoys prosperity and stability. It had a gross domestic product per capita of $25,266 in 2007, or 31st on the IMF list of 179 nations. That per capita GDP was or around 86 percent of the EU average, and substantially higher than that of the other transitioning economies of Central Europe. Although it comprised only about one-thirteenth of Yugoslavia's total population, it was the most productive of the Yugoslav republics, accounting for one-fifth of its GDP and one-third of its exports. It thus gained independence in 1991 with an already relatively prosperous economy and strong market ties to the West. A sign in Brussels welcoming Slovenia into the Eurozone. Since that time, it vigorously pursued diversification of its trade with the West and integration into Western and transatlantic institutions. Slovenia is a founding member of the World Trade Organization, joined the Central European Free Trade Agreement in 1996, and joined the European Union in May 2004. In June 2004 it joined the European Exchange Rate Mechanism; Slovenia introduced the Euro at the beginning of 2007. Slovenia also participates in Southeast European Cooperation Initiative, as well as in the Central European Initiative, the Royaumont Process, and the Black Sea Economic Council. Slovenia benefits from a central location, a well-educated and productive work force, has a good infrastructure, and its political and economic institutions are stable and effective. Slovenia has taken a cautious, deliberate approach to economic management and reform, with emphasis on achieving consensus before proceeding. The pattern of family-owned property continued despite Yugoslavia's communist government. Inheritance by the oldest son determined land distribution in Slovenia, which enabled land and property to be passed down through families intact, limiting land fragmentation. Despite its economic success, much of the economy remains in state hands and foreign direct investment in Slovenia is one of the lowest in the EU on a per capita basis. Although tax reforms were implemented in December 2006, taxes remain relatively high. The labor market is often seen as inflexible, and industries are losing sales to more competitive firms in China, India, and elsewhere. The center-right government, elected in October 2004, has pledged to accelerate privatization of a number of large state holdings and is interested in increasing foreign investment. The government's Committee for Economic Reforms plans to lower the tax burden, privatize state-controlled firms, improve the flexibility of the labor market, and increase the government's efficiency. The country's relatively high rate of inflation declined to 2.3 percent by 2006 and remained comparable to the average in the European Union. Slovenia's economy has started to grow more strongly in the last few years (7.2 percent in first quarter of 2007, 5.2 percent in 2006, 4.0 percent in 2005), after relatively slow growth in 2003 (2.7 percent). Exports totaled $21.85-billion in 2006. Export commodities included manufactured goods, machinery and transport equipment, chemicals, and food. Export partners included Germany 19.8 percent, Italy 12.7 percent, Croatia 9.3 percent, France 8.1 percent, and Austria 8.1 percent. Imports totaled $23.59-billion in 2006. Import commodities included machinery and transport equipment, manufactured goods, chemicals, fuels and lubricants, and food. Import partners included Germany 19.5 percent, Italy 18.6 percent, Austria 12 percent, France 7.1 percent, and Croatia 4.2 percent. The unemployment rate in 2006 was 9.6 percent, and 12.9 percent of the population were below the poverty line in 2004. Slovenia had a population of 1,964,036 in 2002. Emigration and, until the 1970s, the absence of immigration, has kept population growth low. With 256 inhabitants per square mile (99 per square kilometer), Slovenia ranks low among the European countries in population density (compared with 829 per square mile for the Netherlands). The Notranjsko-Kraška region has the lowest population density while the Osrednjeslovenska region has the highest. Approximately 51 percent of the population lives in urban areas and 49 percent in rural areas. Life expectancy at birth for the total population was 74.86 years in 2000. Slovenia's main ethnic group is the Slovenes, who make up 84 percent of the population. Immigrants from the former Yugoslavia (Serbs, Croats, and Bosniaks) form 6.3 percent, and the Hungarian, Italian and Roma minorities 0.6 percent of the population. Integration of people who come from cultures with differing value systems, attitudes, and political traditions, poses a problem. The ethnic affiliation of 8.9 percent was either undeclared or unknown. German speakers, who formed the elite during the Habsburg era, vanished after World War II. Slovenes are an Alpine folk with more in common with northern Italians, southern Germans, and the Swiss. The Hungarian and Italian populations are recognized as indigenous minorities and are protected under the constitution. Roma people (gypsies), who hold on to their nomadic way of life, shun education, and do not work, are frequently targets of ethnic discrimination. Slovenia has become a refuge for those escaping violence and poor economic conditions in other regions of the former Yugoslavia. The official language is Slovenian, which is a member of the south Slavic language group. Hungarian and Italian enjoy the status of official languages in the ethnically mixed regions along the Hungarian and Italian borders. About seven percent speaks Serbo-Croatian. Most Slovenes speak at least two languages. Centuries of rule by the Austrian Habsburgs have left a deep German and Austrian influence, while an Italian influence is evident in the border regions. The Slovene language uses the Latin alphabet, while most Slavic languages use the Cyrillic. Before the communist era, as much as 88 percent of the Slovenian population was Roman Catholic, while by 2002 this had dropped to 57.8 percent. Eastern Orthodox Christians comprise 2.5 percent of the population, Protestants, one percent, and Muslims, one percent. Most Protestants belong to the Lutheran church in Murska Sobota. The small Jewish community of Slovenia is estimated at 400 to 600 members, with most living in the capital, Ljubljana. Jews were banished from the area in the fifteenth century, and those who remained were devastated by the Holocaust. Until 2003, Ljubljana was the only European capital city without a Jewish place of worship. Women tend to work in social welfare, public services and administration, and in the hospitality industry. In the early 1980s, women made up over half of the agricultural work force. Although women were granted equal civil and political rights after World War II, and although industrialization and education have changed women's roles, aspects of a traditional patriarchal society persist. Women are expected to take care of domestic matters even if they work a full-time job. Marriage is valued. The urban domestic unit comprises married adults and their children, sometimes with older relatives. In the country, the domestic unit comprises extended families. Relatives unable to care for themselves live with family members. Rights and responsibilities are defined by family relationships. Kin groups called zadruga used to hold property and farm land in common. Education is mandatory and free until age 15. Pre-school education is not compulsory, and is available to children between the ages of one and six. Nine-year basic education is divided into three three-year cycles. From first to fourth grade children have the same classroom and teacher, who teaches them all subjects (except physical education, music, and art). From fifth grade, children have different teachers, in different rooms, but still have a master teacher, who teaches them one or two subjects. The required subjects are mathematics, their native language, first foreign language, physical education, music and art. In the seventh grade, pupils must choose three additional new subjects from around 40 options (usually different foreign languages, astronomy, fine art, and computer science). On the end of the third, sixth, and ninth grade, pupils must take state tests in mathematics, native language, and first foreign language. The exam sat in the ninth grade is used to ascertain which secondary school the child will attend. Higher education includes academic university studies and professionally oriented studies. Approximately nine percent receive university education. Slovenia has four universities: the universities of Ljubljana, Maribor, Primorska, and Nova Gorica. The literacy rate is high. Ninety nine percent of the total population over the age of 10 can read and write. Much of Slovenia's population belongs to a well-educated, urban-dwelling middle class. Extreme differences between rich and poor are not evident. Cars, electronic appliances, and clothing are the visible signs of increased wealth. Slovenia has a rich tradition of folk art, as well as outstanding impressionist, expressionist and realist painters. It has a 100-year tradition in cinema, a rich literary tradition, as well as music that spans polkas, waltzes, classical, avant-garde, rock and electronic dance music. Heavily involved in sport, nearly one third of adult Slovenes take part in some sort of active leisure pursuit at least once a week. Slovenia's learned men include chemist and Nobel prize laureate Friderik Pregl, physicist Joseph Stefan, philosopher Slavoj Žižek, linguist Franc Miklošič, physician Anton Marko Plenčič, mathematician Jurij Vega, and rocket engineer and pioneer of cosmonautics Herman Potočnik. The tower of Ljubljana castle. Slovenia has various styles of architecture dating from the 1100s. The architecture of Ljubljana has a strong Austrian Alpine character. After an earthquake in 1511, Ljubljana was rebuilt in the Renaissance style, and after an earthquake in 1895, the city was rebuilt in Neo-Classicist and Secession (Austrian Art Nouveau) styles. The city's Baroque architecture was mainly influenced by Italian Baroque architecture (for instance, the cathedral was designed by Andrea Pozzo in 1701, Saint Ursula's church displays Palladian features, and Francesco Robba designed a fountain). The castle, on a site occupied since prehistory although the buildings date from the twelfth century, is one of the main features of the city. 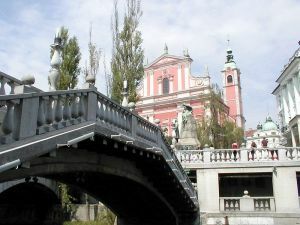 Large areas of the city built in the early twentieth century feature the work of famed native architect Jože Plečnik, including several bridges. The most important Slovenian painters are realist painter Ivana Kobilca and impressionist Rihard Jakopič. Slovenia has a rich tradition of folk art, especially painted beehives illustrated with folk motifs found throughout the country, Gothic frescoes, and contemporary sculpture. A Slovene Expressionist school led by the painter Boñidar Jakac appeared in the late nineteenth century. A multimedia group Neue Slowenische Kunst and a five-member artists' cooperative called IRWIN dominated a small but vibrant art community that existed in 2007. Slovenian cinema has more than a century-long tradition with Karol Grossmann, Janko Ravnik, Ferdo Delak, France Štiglic, Mirko Grobler, Igor Pretnar, France Kosmač, Jože Pogačnik, Matjaž Klopčič, Jane Kavčič, Jože Gale, Boštjan Hladnik and Karpo Godina as its most established filmmakers. Contemporary film directors Janez Burger, Jan Cvitkovič, Damjan Kozole, Janez Lapajne and Maja Weiss are most notable representatives of the so-called "Renaissance of Slovenian cinema." Prekmurska gibanica, a layered pastry, originating in the region of Prekmurje, was the sweet chosen to represent Slovenia in the Café Europe initiative on Europe Day 2006. It contains poppy seeds, walnuts, apples, raisins, and cottage cheese fillings. Although every region has its specialties, most traditional dishes use flour, buckwheat, or barley, as well as potatoes and cabbage. The town of Idrija is known for its idrija zlikrofi, spiced potato balls wrapped in dough, and zeljsevka, rolled yeast dough with herb filling. Slovenia also produces a variety of wines, an activity dating back to the days when the country was a part of the Roman Empire. France Prešeren, a portrait by Bozidar Jakac, 1940. The earliest texts written in Slovene were religious and date from around 970 C.E. Slovenia's first book was published in 1550 in Tübingen, Germany, by the Protestant reformer Primož Trubar (1508-1586). It consisted of a catechism and an abecedarium. The central part of the country, namely Carniola was well-described in the book The Glory of the Duchy of Carniola published in 1689 by Baron Janez Vajkard Valvasor (1641-1693). Books published in Slovenia were generally written in Latin or German until the late eighteenth century, when educational reforms of the eighteenth century produced a reading public for the eloquent Romantic poet France Prešeren (1800-1849), considered Slovenia's greatest poet. Novels followed in the late 1800s. 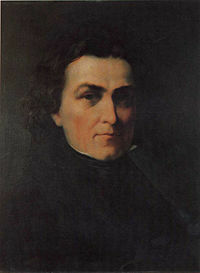 Fran Levstik published his version of oral Slovene folktales, and in 1866 Josip Juri published the first long novel in Slovene, entitled The Tenth Brother. Modern school novelist Ivan Cankar (1876-1918), and the poet Oton Zupancic, were the first of a series of politically influential writers. Interwar writers included the harshly realistic novelist Prezihov Voranc, and the avant-garde Srecko Kosovel. Anti-fascist poet Edvard Kocbek stood out during and after World War II. Socialist realism and the struggles of the war period influenced Slovenian literature immediately before and after World War II, while symbolism and existentialism have influenced Slovene writers since the 1960s. Postwar literary celebrities include Ciril Zlobec, Niko Grafenauer, and Drago Jancar. The history of modern Slovenian music can be traced back to the fifth century, when Christianity spread in the Duchy of Carantania. Liturgical hymns (kyrie eleison) were introduced. During the mediaeval era, secular music was as popular as church music, including wandering minnesingers. Slovenia was the homeland of Renaissance composer Jacobus Gallus (1550-1591), who greatly influenced Central European classical music. By the time of Protestant Reformation in the sixteenth century, music was used to proselytize. The first Slovenian hymnal, Eni Psalmi, was published in 1567. This period saw the rise of musicians like Jacobus Gallus and Jurij Slatkonja. In 1701, J. B. Hoffer founded the Academia Philharmonicorum. Italy was an important musical influence of the period, especially for opera. Beginning in 1768, German theater companies arrived and became popular. The 1794 formation of the Philharmonische Gesellschaft was one of the first such orchestras in Central Europe. A distinctively Slovenian classical music sound based on Romanticism appeared in the nineteenth century. 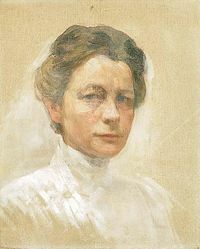 In the early twentieth century, impressionism spread across Slovenia, producing the composers Marij Kogoj and Slavko Osterc. Avant-garde classical music arose in Slovenia in the 1960s, largely due to the work of Uroš Krek, Dane Skerl,Primoz Ramovs among others. Modernist composers include Uros Rojko, Tomaz Svete, Brina Jez-Brezavscek and Aldo Kumar. Folk music includes velike goslarije, a type of big band music, utilising the zither and panpipes, and rural harmony singing. Folk revivalists include Katice, Trinajsto prase, Musicante Istriani and Tolovaj Mataj. Slavko Avsenik is one of the most influential polka and waltz musicians. ''Oberkrainer'' music, which the Avsenik Ensemble popularized, remains popular. Slovenia boasts 400,000 registered members of almost 3000 sports societies and clubs, according to government statistics. Nearly one third of adult Slovenes take part in some sort of active leisure pursuit at least once a week. Slovene sportsmen and women have won 50 Olympic medals, and more than 360 world championship medals. The best results are gained in skiing, athletics, ski-jumping, gymnastics, rowing and white-water canoeing. In team sports, the greatest Slovene achievements have been in basketball, volleyball, handball and, more recently, in European Cup football (soccer). Mountaineering is a popular recreation. In November 1999, Slovene Tomaž Humar, made a solo ascent of the 26,674-foot South face of Dhaulaghiri in Nepal, the seventh highest mountain in the world. ↑ Central Intelligence Agency, Slovenia The World Factbook. Retrieved October 28, 2011. ↑ Census 2002: 7. Population by ethnic affiliation, Slovenia, Census 1953, 1961, 1971, 1981, 1991 and 2002. Statistical Office of the Republic of Slovenia. Retrieved October 28, 2011. ↑ Race, Helena (2005). "Dan prej" – 26. junij 1991: diplomsko delo (in Slovene). Faculty of Social Sciences, University of Ljubljana. Retrieved October 28, 2011. ↑ Prunk, Janko (2001). Path to Slovene State. Public Relations and Media Office, Government of the Republic of Slovenia. Retrieved October 28, 2011. ↑ Površina ozemlja in pokrovnost tal, določena planimetrično, 2005 (in Slovene, English). Statistical Office of the Republic of Slovenia. Retrieved October 28, 2011. ↑ Population, Slovenia, 1 October 2010 – final data. Statistical Office of the Republic of Slovenia (31 January 2010). Retrieved October 28, 2011. ↑ Gostota naseljenosti, 1. 7. (in Slovene, English). Statistical Office of the Republic of Slovenia. Retrieved October 28, 2011. ↑ 8.0 8.1 8.2 8.3 Slovenia. International Monetary Fund. Retrieved October 28, 2011. ↑ Wikimedia, GDP-PPP. Retrieved October 28, 2011. ↑ Republika Slovenija. Retrieved October 28, 2011. Arnez, John A. 1958. Slovenia in European affairs, reflections on Slovenian political history. New York: League of CSA. Countries and Their Cultures. Culture of Slovenia. British Broadcasting Corporation. Country profile: Slovenia. U.S. Department of State. Slovenia. This page was last modified on 24 September 2015, at 15:31.